To make an event memorable, it has to have a ‘WOW’ factor. The goal is to impress the event attendees so much that they talk about the event with others and on social media. A great way to be head and shoulders above the other events and to be the talk of the town is to use technology. Technology is a great way to make the most boring canvas, spectacular, creating an engaging experience. So we have listed the 9 current technologies that will definitely impress your attendees and create the ‘WOW’ Factor at your Event. Can Live streaming improve your event? 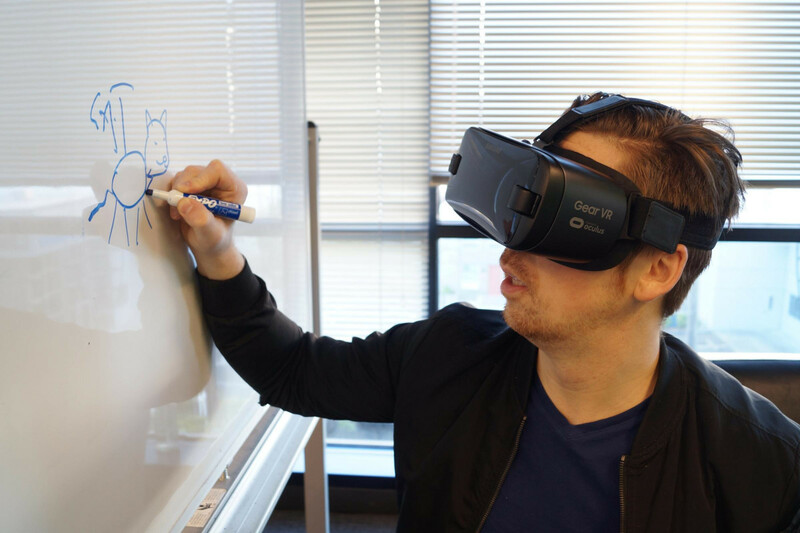 Augmented reality (AR) is integrating digital with reality that makes for a immersive experience. AR is used to superimpose, text, audio, and images over a real-world objects. An Excellent example of augmented reality was created by the art gallery called Iazzu, The Smart phone app allows a user to upload a photo of a room in their office or home and then select a piece of artwork from the art gallery’s to place in their room. This allows clients the chance to see what it would look like before they buy it. This new AR technology is being used to enhance event displays from a still photograph to a video presentation or live feed through your smart phone. For example, what appears to be a poster on the wall can come alive when an attendee approaches it, making it more compelling. They can be triggered based on a motion sensor or by the participants scanning a code on the poster. Any wall space, surface, exhibit area, or room can transform into a dynamic presentation. AR is also very useful to show things that are too large to be conveniently brought to the exhibit space. Projection mapping can be used for showing a map of the event floor showing in real-time the things that are happening and where they are, 3-D projection mapping is very dramatic when used on the exterior of buildings, as seen in this example of a promotion for the movie The Tourist. New 7-D hologram technology makes augmented reality useful to an event planner, When done well, the lines between AR and the real world may blend in such as way as to not easily be distinguishable. It becomes difficult to tell what part is the actual reality from the part that is the digital enhancement. An outstanding example of this is this 7-D projection of a whale in the gymnasium of a school. Artificial intelligence (AI) can be utilised to improve the customer experience of the attendees for your event, Using chatbots to answer questions, helps attendees before the event to answer any repetitive questions, pre-defined keywords can be picked up from the chat and an answer can be given in real-time, allowing for staff to get on with planning and organising the Event. AI programming can also create customised event profiles for attendees that help them find things that might be of interest to them, we'll talk about that further later on. 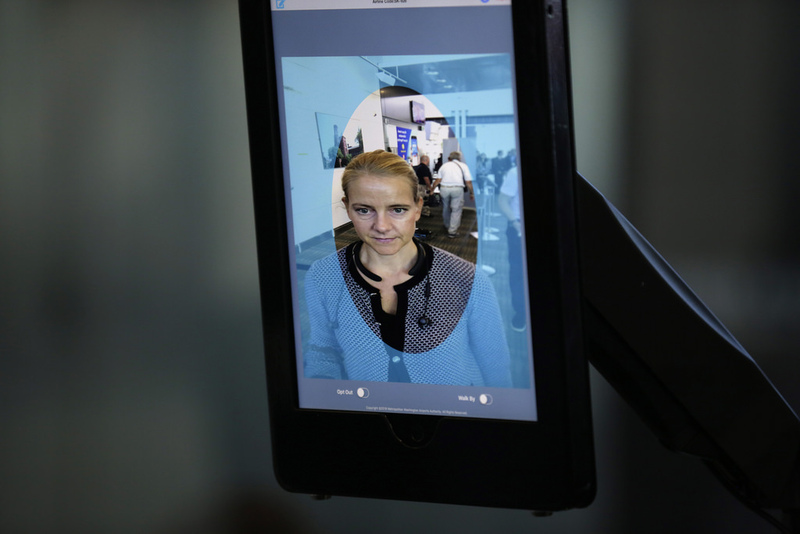 Using Facial recognition improves check-in procedures and registration at an event. This can be done easily by attendees submitting a photo as part of the registration process with the offer of easy and quick entry. The computer uses the database to quickly recognise them and print their passes. Facility security is very important and the risk of a terrorist attack or a mass shooting is ever more prevalent, facial recognition helps maintain a high level of security, preventing unauthorised access or alerting the security teams to people know to the police and authorities. AI facial scanning can now even determine the mood of attendees and their level of engagement within the event, this give organisers immediate feedback on the success of their presentations. Facebook can also be integrated into the software, to add tags to photos and track activity and response to the event. RFID stands for radio-frequency identification. 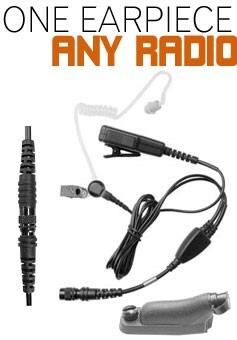 This radio transmission technology works within a small chip that can be embedded into lanyards, wristbands or inside wearable technology. With a simple tap on a scanner or by passing through a reader, the RFID chip can trigger programmable actions and responses. The event team can monitor the activities of attendees and have interactive promotions triggered based on where the people go. Data can be gathered without interrupting the flow of the people. Attendees can use it as identification, instead of the traditional event badges. Using this technology to request information on things that they see, and which they have an interest in knowing more about, will provide data for the organisers and improve participation for the attendees. People can pre-registered with their payment information and link this to their RFID chip to use it to make purchases at the event. This can be a good source of income for the event. Using RFID technology, it is understood to produce about 20% higher ROI than traditional events – both due to increased customer spend and by eliminating the need to handle cash money. 5. Can Live streaming improve your event? 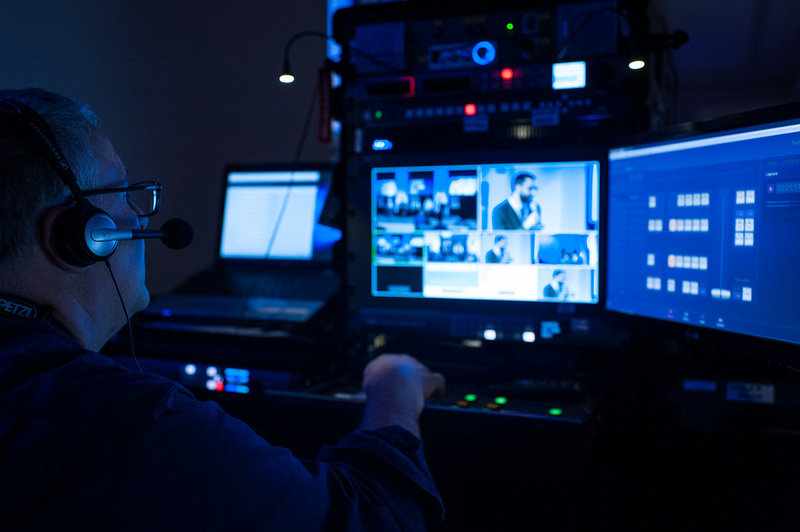 Live Steaming video show during the event creates a sense of excitement and urgency, Video can show what’s going on at other parts of the event to inform and entertain attendees. The show can be used to make announcements, award prizes, and feature surprise guest appearances, Video streaming can be broadcast on video monitors at the event, projected onto a large screen or video wall. Pre-produced segments create a continuity of the programming. They can be used as a cutaway from the live feed to advertise sponsors or promote organisers at the event. Each day, the highlights can be shown as a summary, along with a preview of upcoming things, this can be shared on Periscope and Facebook Live to increase exposure. Presentations can all be recorded and then placed online for viewing by anyone that missed it at the event, or made into a podcast to be viewed by attendees as a well as others that didn't attend in person. Portions of the programming may be made available for view by the general public via video steaming services. For an event to be successful, VIPs need to be taken care of, one way to do this is to use AI event program matching, The software helps match parts of the event that they are likely to be interested in and want to see. When the VIPs use the AI matching system, the system organises schedules and times to maximise their day. The system makes convenient schedule match-ups taking into consideration the calendars and availability of the VIPs who want to meet each other, Any last-minute cancellations or schedule modifications are updated in real-time with automatic notifications. Drone photography is a nice tool to enhance an event. Aerial photographs of the event can be captured and posted on social media. Video photography can be recorded and broadcast as a live stream or part of the event show. Large-scale performances can be captured by drones flying over the crowds. There are drones that can fly indoors and others that are built to fly outside. Drones can also carry advertising banners that attract attention. Drone footage is also good for future marketing material, posting it on social media or you tube to show what the event is about. 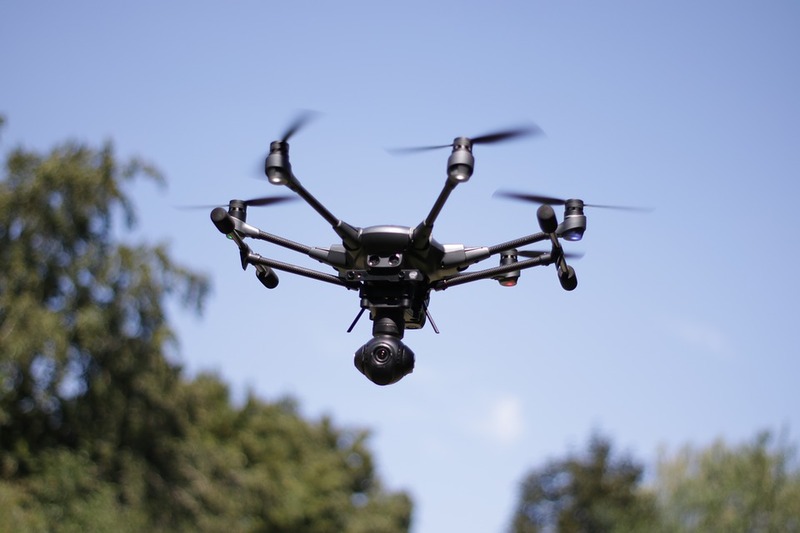 Drones can also be used for site planning and preparation capturing data, site-surveys, and mapping out the event space for risk assessments, placing exhibitors and keynote speakers for a flowing event. It is possible, in the Future they could be used to deliver things to attendees, such as bottles of champagne to VIPs. Social media is a key component to make an event successful. It can be used in many clever ways to create engagement, social sharing and a buzz. Social Vending Machine: This is a way to create more attention on social media by offering a chocolate bar or branded toy in exchange for a positive comment or a like on social media. Snapchat Game: Winners of the game receive a special Snapchat photo filter created specifically for the event. Social Media Wall: A great idea is to use a large screen or a projection system, so attendees can see what is being posted on social media. This social media wall is placed in prominent areas at the event to create a Buzz. Build the Wall: Visitors are encouraged to post things on social media using a pre-defined hashtag that can be promoted on the sides of the wall or on the wall itself, these tweets and posts show up on the wall in real time, providing an exciting attraction to the attendees. Photo Opps and Photographers: Find Places with good lighting and positioned branded displays around the event to allow people to take selfies and photos of others to post on social media. Photographers can also wander through the crowd to capture spontaneous shots to post on social media as well. Phone apps are your gateway to the consumer, they are as essential these days as programs and maps were, back-in-the-day. Events with accompanying phone apps are able to help attendees to manage their schedules and help book travel and accommodation, it’s also easier way for them to register for future events. An interactive map with additional augmented reality prompts and bookmarking is a great way for people to manage what they want to see, allowing them to personalise parts of the event and create their own schedule. The phone app can also be a great source of information about your attendees, providing data on what they like to see and what they are interested in, can deliver enormous value to marketing efforts and future events, as well as sponsors. A more contextual event experience is what a lot of attendees are looking for these days, using their device is a great way to improve that experience. Augmented reality can be a great way of enhancing a display. Wifi and Bluetooth beacons, send bursts of information with a 300m range, anyone near these beacons receive these broadcasts, they are great for special offers or real-world click-bait. Have you seen a technology at an Event that we haven't listed here? What technology impressed you at your last event?